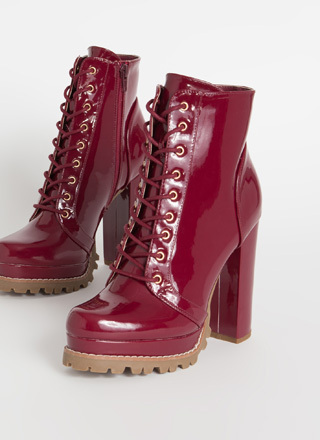 If we're speaking in golf terms, these babies are definitely a hole-in-one. 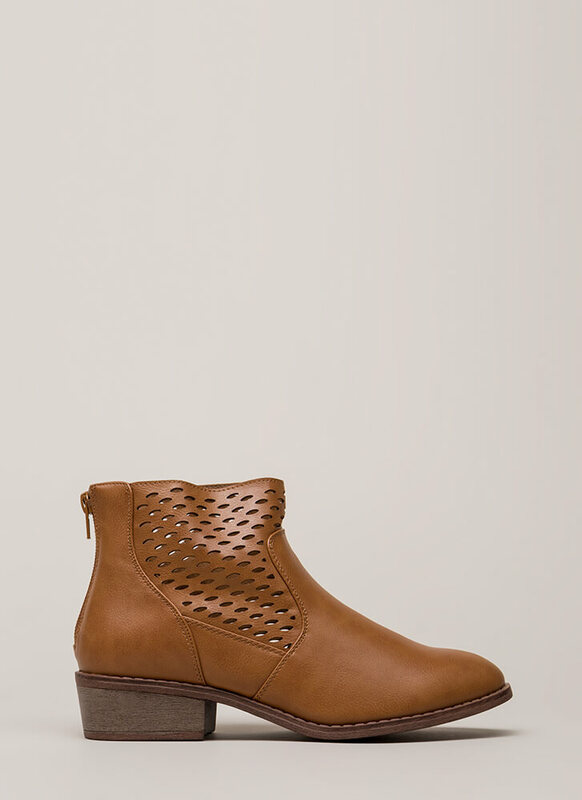 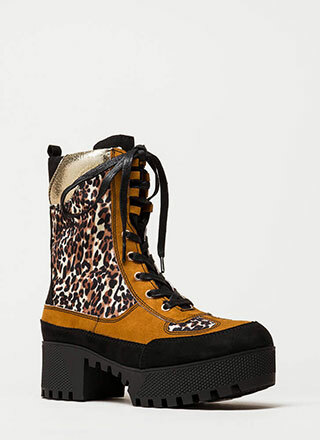 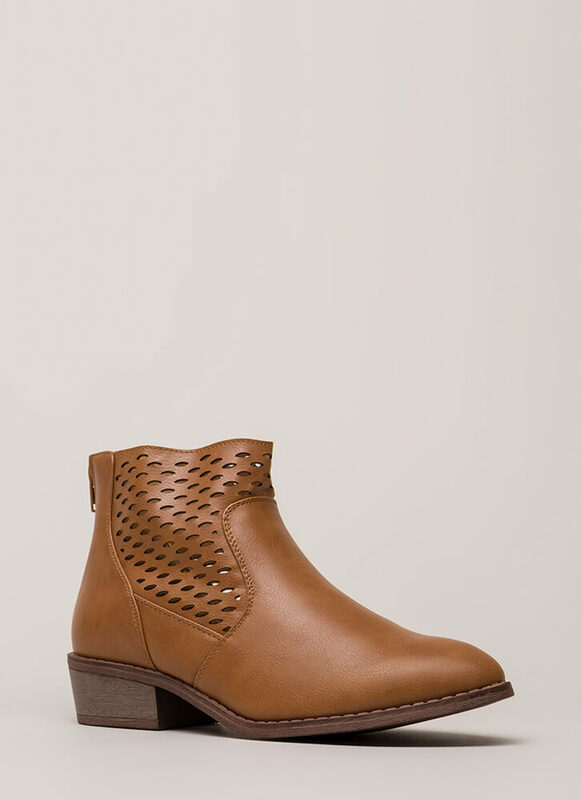 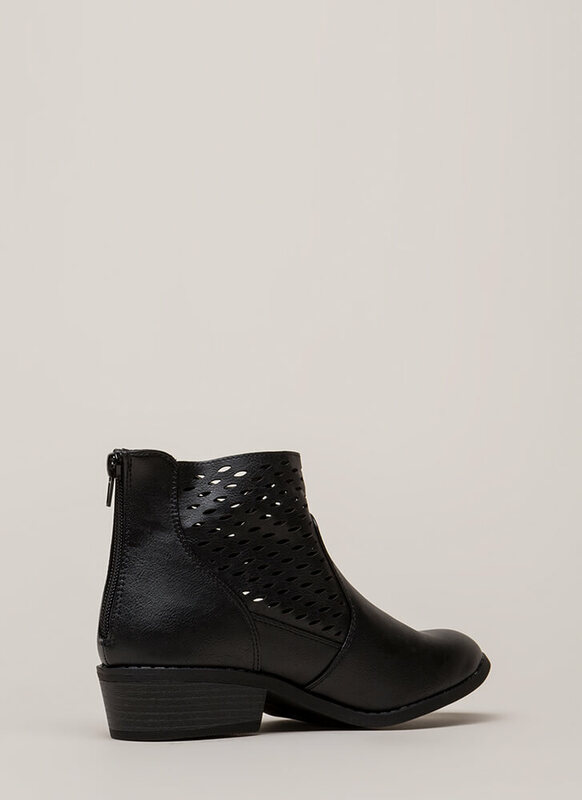 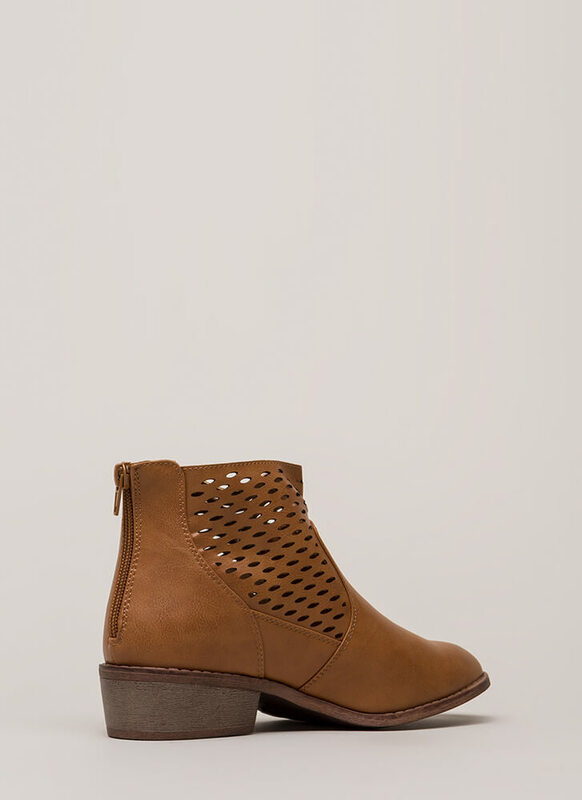 Short vegan leather booties feature a block heel with a wood grain surface and side panels of oval laser-cut holes for a latticed or basketwoven effect. 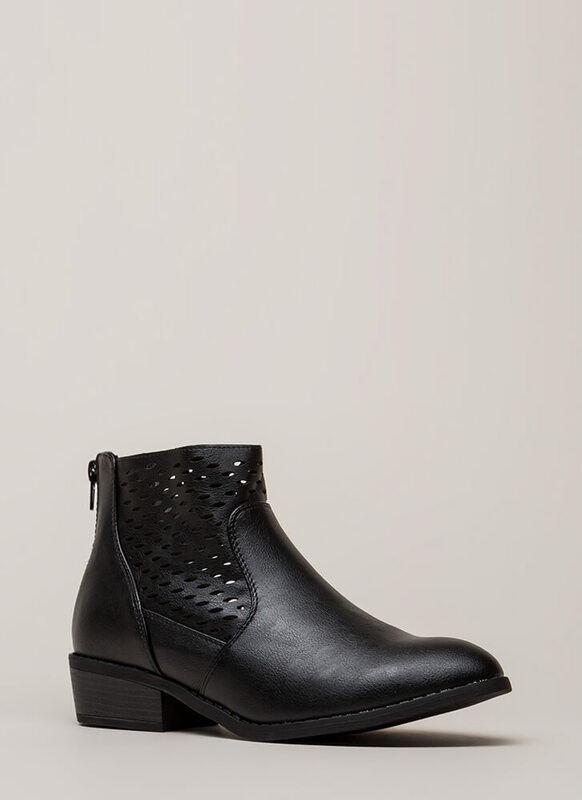 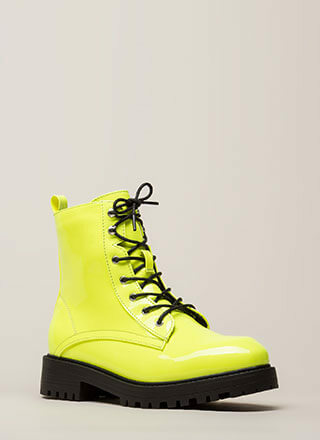 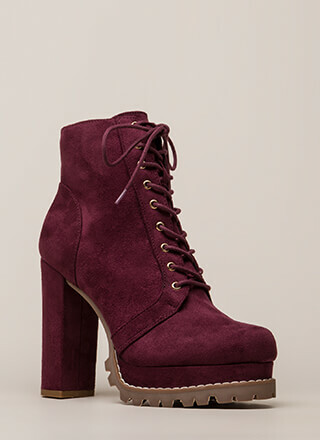 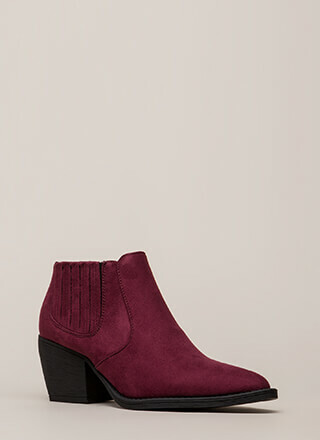 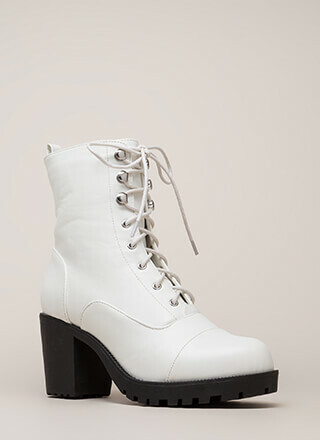 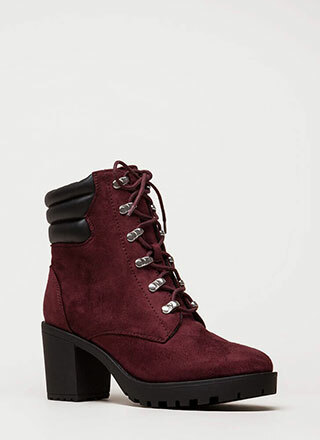 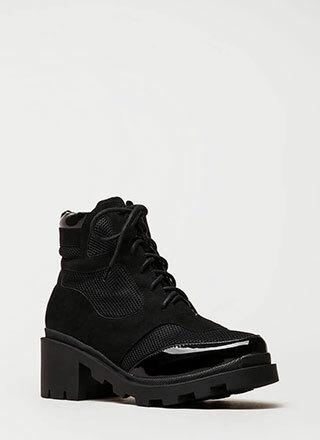 Ankle boots are finished with a textured sole and a rear zipper for easy on and off.